With the passing of recent legislation legalizing marijuana in California, many pet parents have raised questions regarding marijuana use and toxicity in dogs. The active ingredient in marijuana, also known as cannabis, is tetrahydrocannabinol or THC. THC increases the release of certain neurotransmitters in the brain. The release of these neurotransmitters creates effects sought after for both human recreational and medicinal use. Compared to people, dogs have more THC receptors and are therefore more sensitivity to the effects of marijuana. Hence, from a veterinary perspective we commonly see marijuana exposure in dogs lead to overdose or intoxication. Signs of marijuana toxicity include loss of bladder control, incoordination or wobbliness, lethargy, dilated pupils, vomiting, and less commonly agitation. In more severe toxicities seizures, abnormal heartbeat, coma and death are rare but possible. Clinical signs typically begin 30-60 minutes after exposure. 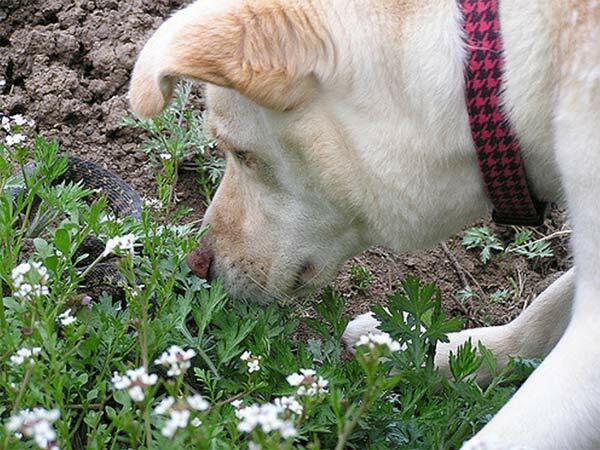 Documented cases of marijuana toxicity in dogs has grown in recent years due to increased accessibility and use. Dogs can be exposed through inhalation or ingestion of marijuana directly or more commonly through food products containing marijuana. Baked brownies laced with THC are often the reported culprit for intoxication in dogs and present a double risk due to exposure to THC and chocolate (which contains the canine toxin theobromine). It is essential that you provide an honest history about potential exposure to your veterinarian. Their only interest is providing the best health care to your pet with accurate diagnosis. If exposure is suspected but not known a urine drug test can be used. However false negative tests are possible and not all veterinary hospitals and clinics have these tests available. There is no cure or antidote for marijuana intoxication. Treatment depends on severity of clinical signs and times since exposure. 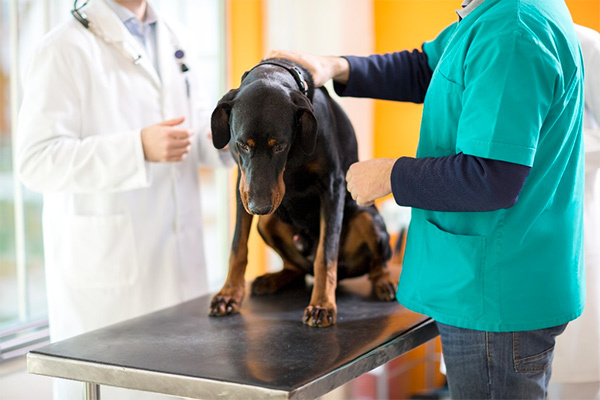 If ingestion was recent vomiting may be induced by your veterinarian but should never be attempted at home without consulting your dog’s doctor. Other treatment include supportive care such as IV fluids, anti-nausea medication, and thermoregulation. Signs typically resolve within 24-36 hours. Many marijuana based products have come on the market lately advertised to treat various canine diseases. However, scientific-based evidence of the safety and efficacy of these products in dogs is lacking. Therefore, it is difficult for veterinarians to endorse any use of marijuana until further studies are conducted. In states where marijuana has been recently legalized, veterinarians have seen up to a four fold increase in canine toxicity cases. Veterinarians in California are expecting similar statistics. As a dog owner it is important to know the signs and risks of marijuana toxicity. Luckily, with prompt diagnosis and intervention dogs often recover quickly and fully from intoxication.